Net profit rose to Rs 676 crore ($100 million) for its fiscal third-quarter to December 31, beating analysts' estimate of Rs 628 crore on average. YES Bank, country's fifth-biggest private sector lender by assets, reported a better-than-expected 25 percent increase in quarterly profit, and said it expected full-year credit costs to be at the lower end of its guidance range. The bank 's total income rose to Rs 4,122.12 crore in the quarter under review, up 17.49 per cent from Rs 3,508.47 crore in the corresponding quarter a year ago," it said in a BSE filing. Its gross non-performing assets (NPAs) stood at 0.66 per cent as against 0.42 per cent recorded in the same quarter in the previous fiscal. Net NPAs stood at 0.22 per cent in the quarter under review as against 0.1 per cent a year ago. Due to sharp increase in NPAs, the lender's provisioning for bad loans grew by over two-fold to Rs 147.94 crore as compared to Rs 69.86 crore set up the bank in the same period of the previous fiscal. The bank said it saw credit costs at maximum 50 basis points for the fiscal year ending March, compared with its previous guidance of 50-70 basis points. Commenting on the results, the bank's Managing Director and CEO Rana Kapoor said: "YES Bank has delivered yet another consistent quarter of sustained financial performance driven by steady increase in net interest income on the back of an improving retail franchise, improvements in NIM, RoA, RoE and overall preservation of asset quality." "The bank continues to show resilience on all asset quality parameters with an improving outlook going forward with credit costs for FY 2015-16 being contained within 50 bps (previous credit cost guidance of 50-70 bps)," he added. The interest earned rose to Rs 3,376.05 crore during the October-December period of 2015-16, up 13.60 per cent from Rs 2,971.66 crore a year ago. Its Net interest margin (NIM) expanded to 3.4 per cent as against 3.2 per cent in the year ago period. 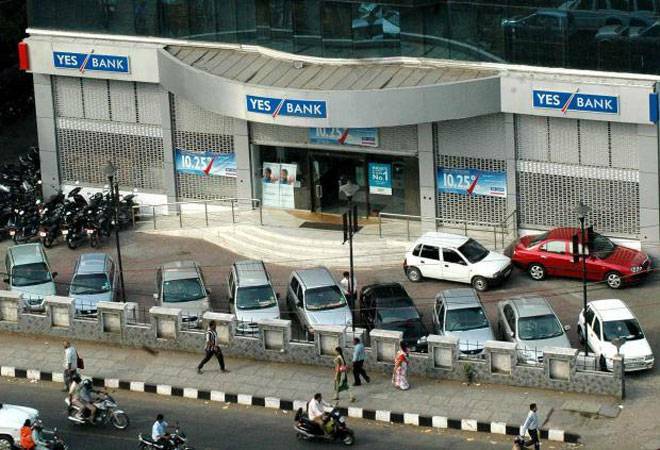 YES Bank's shares were trading 4.58 per cent higher at Rs 704.40 apiece during morning session on the BSE.